Monday Tuesday Wednesday Thursday Fri. & Sat. Tuition: Cost of Supplies plus $25 each time you come to class. One, 3 hour class per week . Let John know in advance if you want to sign up for a class before you come. This is the only way to know how many people are expected to be in each class. For all questions about registration, supplies or classes please email John Helms at jjohn@johnhelmsgallery.com All class information and supplies lists may be accessed at www.johnhelmsgallery.com and click on the “class Info” link. Please do not call Hobby Lobby to register for classes. Also bring your painting supplies with you when you come to your first class – don’t wait until class time to buy your supplies – it’s not fair to the other students. all you need is the desire to learn"
2007. John received his formal education at Mississippi College, the University of Memphis, and Memphis College of Arts. 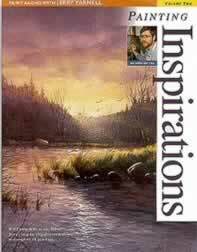 In the 70's He started teaching adult watercolor, oil, and drawing classes at various churches and community centers throughout the Memphis area and first got recognition for his rural watercolor landscape paintings in the early 70's and soon gained a following. His work is in many public and private collections Nation-wide. 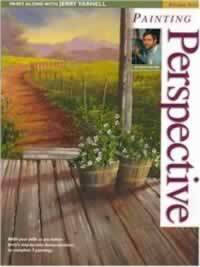 He is now teaching acrylic classes at Hobby Lobby in Collierville, TN. and Olive Branch, MS.
are having fun at the same time." any questions. 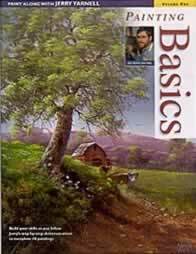 I use to teach from Jerry Yarnell's books - here are 5 of his books that I taught from for years. This is my current palette for acrylic painting. Dioxiane Purple, Cobalt Blue, Ultramarine Blue, and Alarizan Crimson. 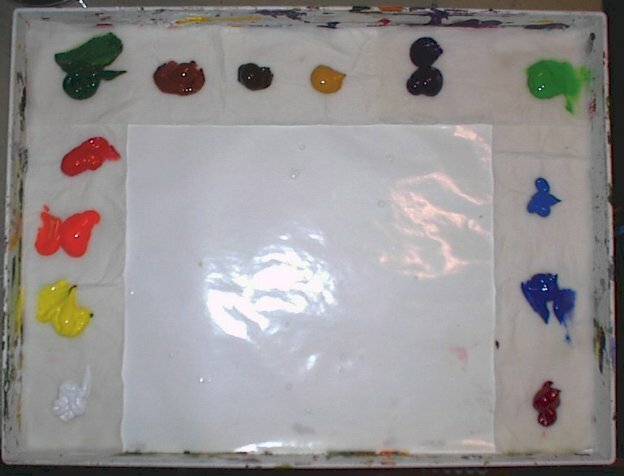 a lid seals the top of the palette and a wet, flat sponge goes inside to keep paints moist. I use Titanium White for more intense whites and for highlights. 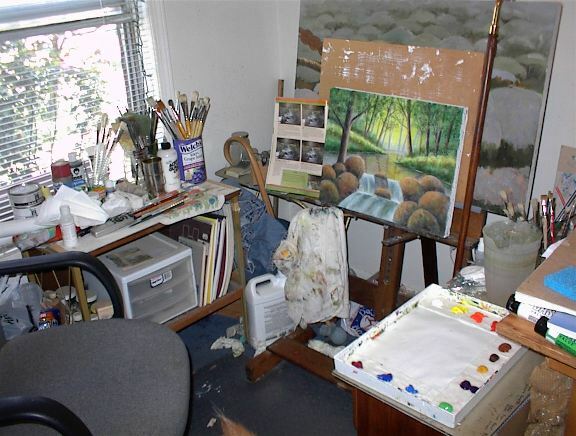 Having a constant source of north light is essential for any artist's painting set-up. My favorite time of the day to paint is during daylight hours - even on cloudy days. important thing is just to discipline yourself to paint at least every other day. unplug it so I won't be interrupted. Since art supplies are so expensive buy them wherever you can find them on sale. Hobby Lobby and Michaels Stores have regular sales on art supplies, along with various craft items – Michael's sales circular usually comes in Sunday’s Commercial Appeal every other week and has a 40% off any regularly priced item coupon in it. Hobby Lobby has an on-line coupon every week that you can print out - go to : www.hobbylobby.com and follow the coupon link. Hobby also has unadvertised sales on art supplies every week . Other sources for buying art supplies is www.dickblick.com and www.cheapjoes.com - both of them will also mail you a free catalogue if you ask for it. 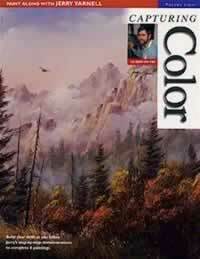 I switch between the following acrylic books by Jerry Yarnell for teaching in class- Each book has color step-by-step instructions and several paintings to choose from. The average class painting usually takes 6 to 8 weeks ( 12-16 hours ) to complete. 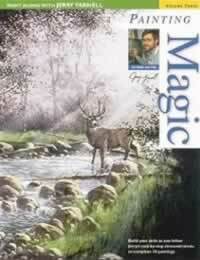 · Jerry Yarnell, acrylic artist, on BYUTV, Channel 9403 - Dish Network Only on Saturdays at 9:30am and 3:30pm CST. · Every now and then Channel 10, WKNO ( PBS Network ) will have an fine-art related program on. Recommended Artist Forum on the Internet: www.wetcanvas.com This is by far the largest international forum on the internet for artists. There are many channels on many categories to choose from, and in each of these channels are many, many forums chock full with good information and good artists to learn from. Any artist on any level of experience can benefit from these forums.